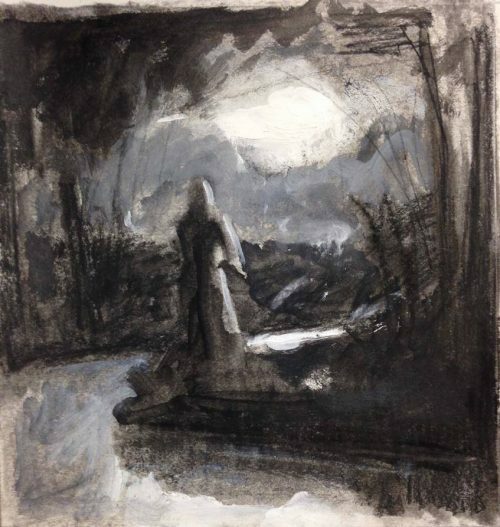 The Helzer Gallery at Portland Community College’s Rock Creek Campus is hosting “The First Writing,” a comprehensive exhibition of drawings curated by PCC art instructor Mark Andres. The work will be on view from Oct. 8 through Nov. 1. The public is invited to a reception to meet the artists from noon to 1 p.m., Wednesday, Oct. 31. Admission is free. “I hope the range of the exhibition, which includes depiction, invention, diagram, abstraction, materiality, and narrative, offers the viewer a sense of the diversity of perceptual and conceptual tools at the heart of what we identify as drawing,” he said.